Lorin Bernsen, a Coastal Bend College graduate, will lead a workshop on caricatures for art students on April 6, 8 a.m. to 4 p.m. as part of the Barnhart Workshop Series. It will be held at the Frank Jostes Visual Arts Building in Beeville. While a student at Texas State University in San Marcos, Bernsen got a summer job in drawing caricatures at Six Flags Over Texas. Soon after graduating, he committed himself to his art, drawing thousands of theme park and festival patrons across the U.S. including at Universal Studios in Florida, Western Idaho Fair and Brazos River Festival. Bersen has gained popularity for his work in the Dallas/Fort Worth area. Armed with a variety of tools and having joined the National Caricaturist Network, He earned the award for 13th Place, NCN Caricaturist of the Year at the organization’s annual competition in 2005. 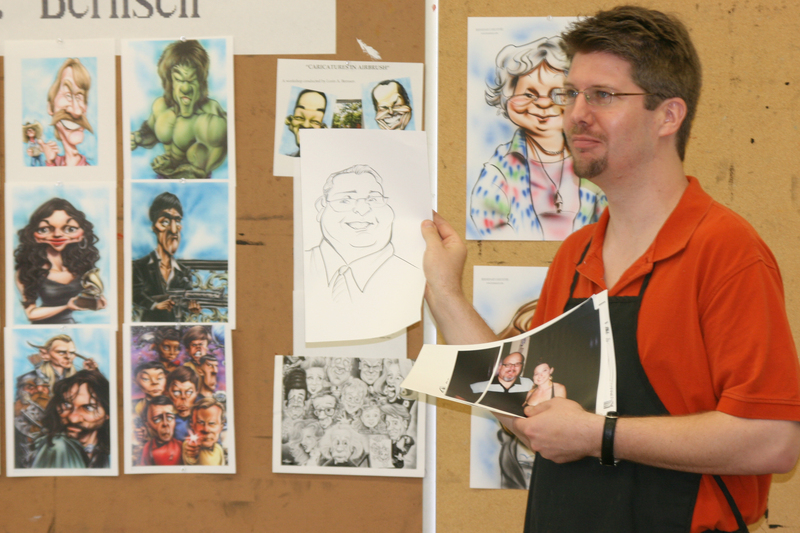 Bernsen will demonstrate drawing and air brushing techniques and talk about caricatures with students and guests during the daylong open entry workshop. More on Bernsen’s work is available online at www.bernsenart.com.